The line-up of finalists has been revealed for this year’s England Golf Awards, sponsored by adidas Golf and one of them is Cornwall and Devon based Golf Access. In November, England Golf encouraged golf clubs, counties and individuals the length and breadth of the country to nominate those they felt were deserving of a trophy at the 2019 Awards. Earlier this week England Golf announced their shortlist. At a glittering black-tie event in March, hosted by golf fanatic and BBC broadcaster Dan Walker, the winners of the eight categories will be revealed – plus a Lifetime Service Award. 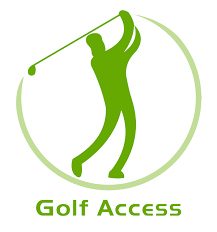 So what is Golf Access? The brainchild of well known former Cornwall County Development Officer Simon Wood, Golf Access is an exciting format designed to help golf clubs encourage new participants to play golf for the first time, with the opportunity to learn the game on the golf course, rather than solely on the driving range or practice ground. ​There are 9 different bands / levels for golfers to work through in Golf Access and a participant can progress to the next level as soon as they attain the band score or better. The participant can only move one level at a time after posting a score. ​When each level has been obtained, junior participants are presented with a coloured wrist band and certificate as recognition of achieving the corresponding level. Adult participants are presented with a coloured poker chip ball marker for every level attained. Golf Access has been introduced at almost half the clubs in Devon and 18 of the Duchy's clubs also. In addition Golf Access centres exist in many other English counties, in Ireland, Wales and most recently as far afield as Australia. So well done Simon and his business partner Kris Robertson and good luck at the awards. Other SW related nominations are for Exeter Golf & Country Club as Most Welcoming Club of the Year, Stuart Disney (The Mendip GC) as Coach of the Year, Wiltshire as County of the Year and Georgina Wrixon (Ashley Wood Golf Club, Dorset) as Young Ambassador of the Year. Mitch Waite of Filton Golf Club, Gloucestershire, who is well known to Cornwall's county team members, is nominated in the Performance of the Year category.